Welcome to December! The holidays are in full swing now with parties, shopping, decorations, and countdown calendars. 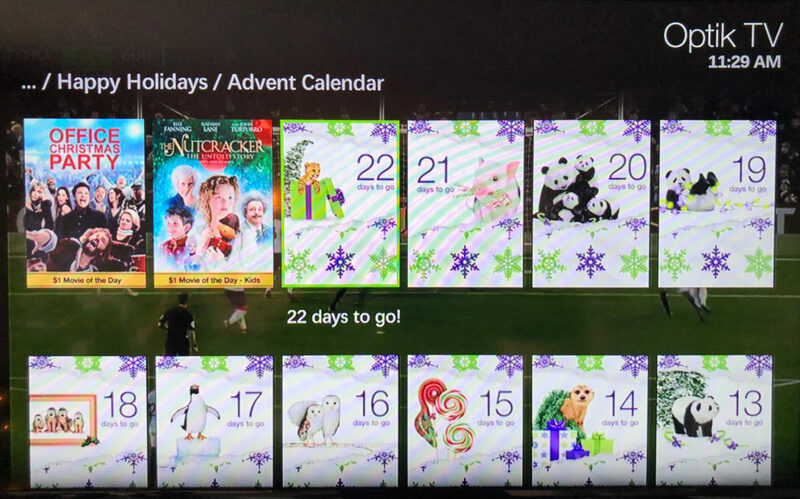 While you might already have a LEGO Advent Calendar or a chocolate one or a craft beer one to help you countdown to the big day, TELUS Optik also has a digital offering! Just press your On Demand button and look for the Happy Holidays category on the side bar! Here the movies are broken down in to categories with something for everyone. 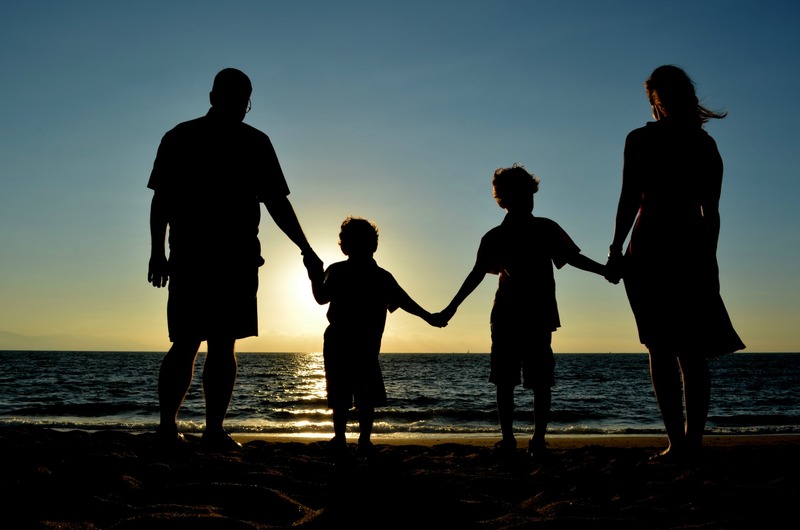 Festive Fun is more than 100 family friendly films. Mistletoe Mischief is comedy and romance, while there’s also a list of spooky holiday films and shows in Stocking Stuffers. 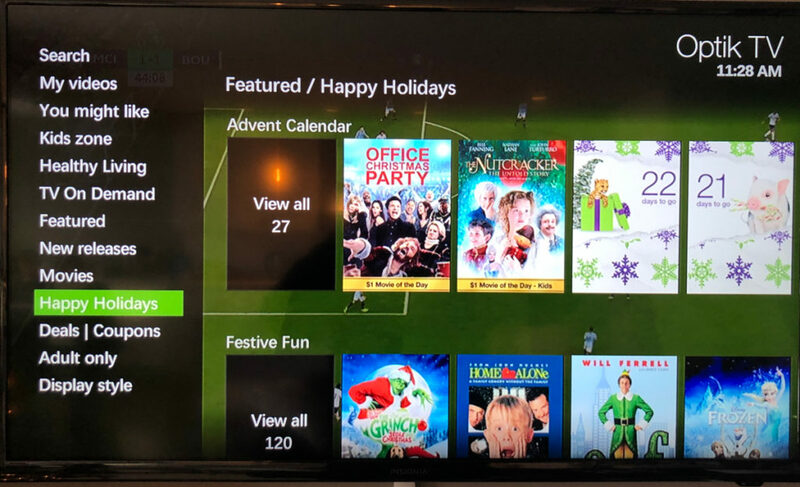 You can find all the holiday categories by pressing the On Demand button for your TELUS Optik TV! Count down the days with a surprise holiday movie for just $1 on demand. TELUS has put together a fun mix of family-friendly movies with a new one every day between December 1st and 26th. Each new day is a surprise and I practically guarantee you’re going to find something between now and Boxing Day that is right up your alley. 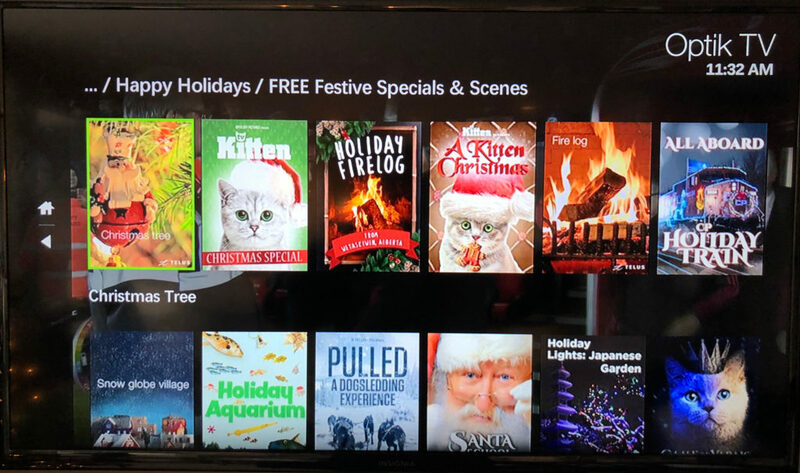 There are also some other free channels, like the Optik Holiday Fireplace (on Channel 10) to run in the background to keep you cosy on a cold night. The Happy Holidays Folder also has a variety of other fireplace scenes to view. Channel 11 (and the On Demand Happy Holidays Folder) has free festive specials and scenes – like kittens climbing all over gingerbread houses. 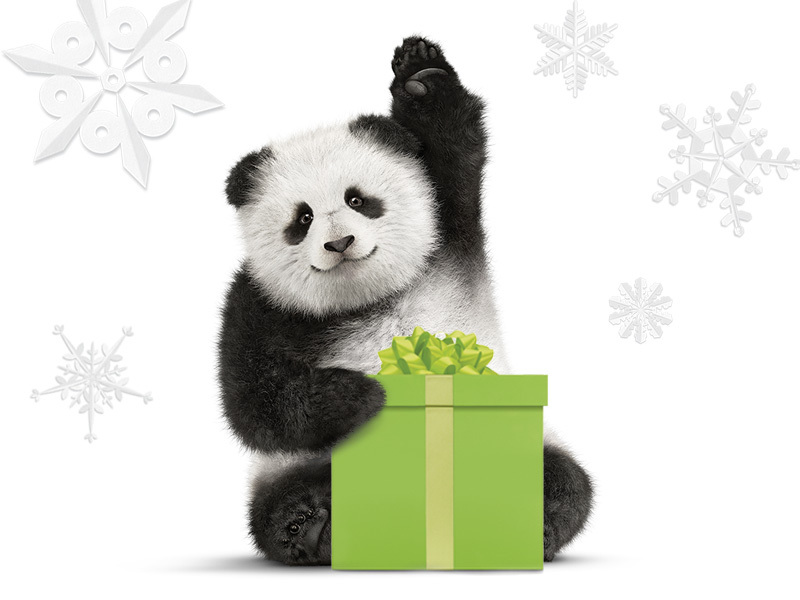 Channel 12 is the TELUS Santa Tracker! This section is a fun and interactive countdown to Christmas Eve. Your kids can follow Santa around the globe and watch videos for each of the cities he stops in. 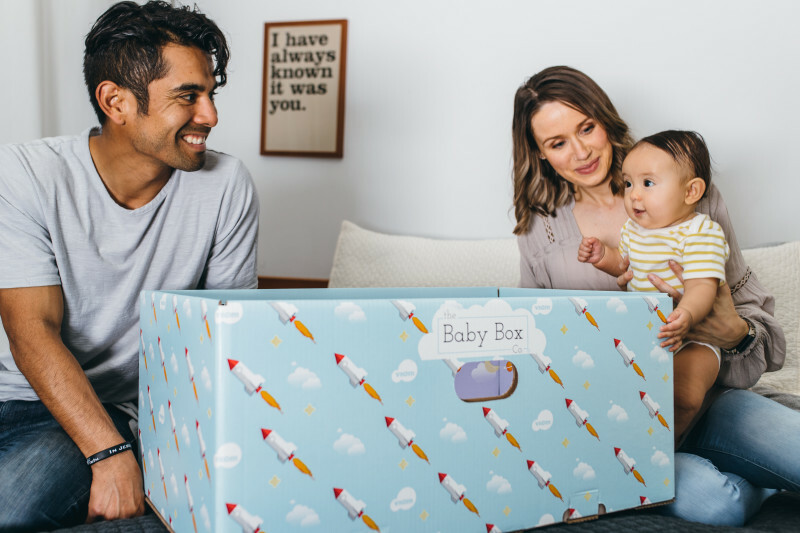 With each game and challenge your kids complete, they’ll unlock more decorations for the landing page until the big day! And if you’d just rather have some music on while you bake, entertain, or relax, Channel 14 is where you will find all your favourite holiday music from Stingray.